Bear activity is waning fast in our neck of the woods. 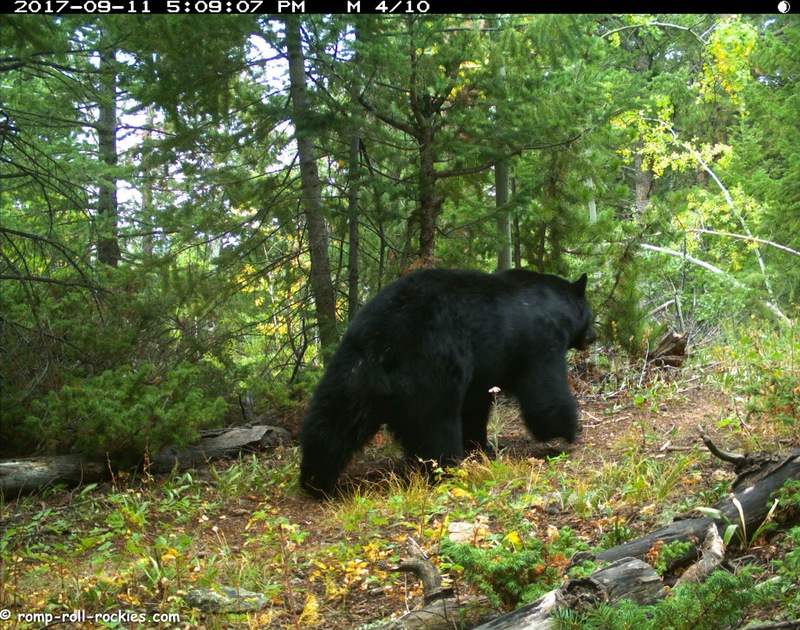 A few big male bears still wander the trails. They are no longer consistently marking trees. This guy is very close to one on his left side in this photo - it's the spindly one that appears to be rising out of his left hip. He didn't even turn his head. 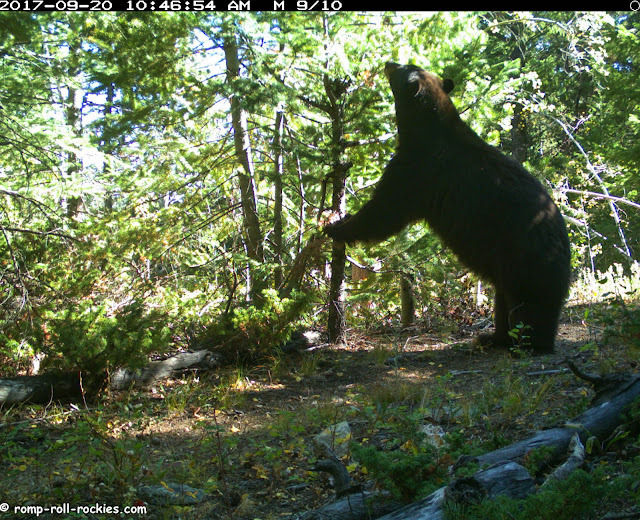 Based on the bears' girths, I can tell that they've had a good eating year! Again, this guy is passing a marking tree on his left hip. This guy looked magnificent as he passed a marking tree with nary a glance toward it. Neither marked it. They just sniffed. In fact, the last time that tree was marked was on 8/4/17. It was marked only once this season although most bears who passed it did sniff it. As you can see, the one bear who marked it was very emphatic! By September, bears seem like they don't have the energy for marking trees willy nilly. 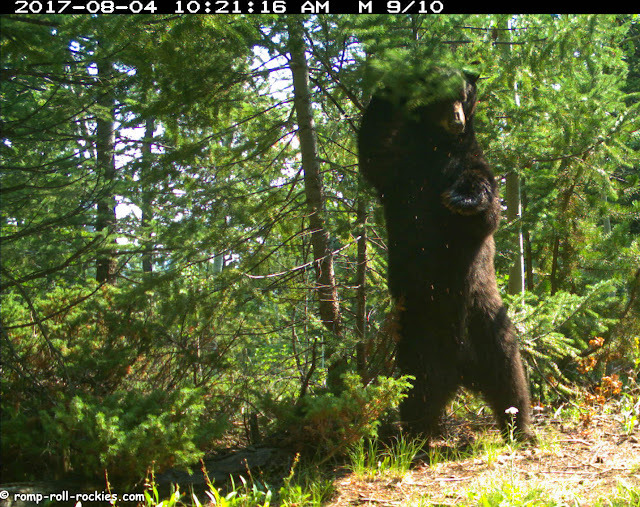 However, a couple of bears did, including this one. 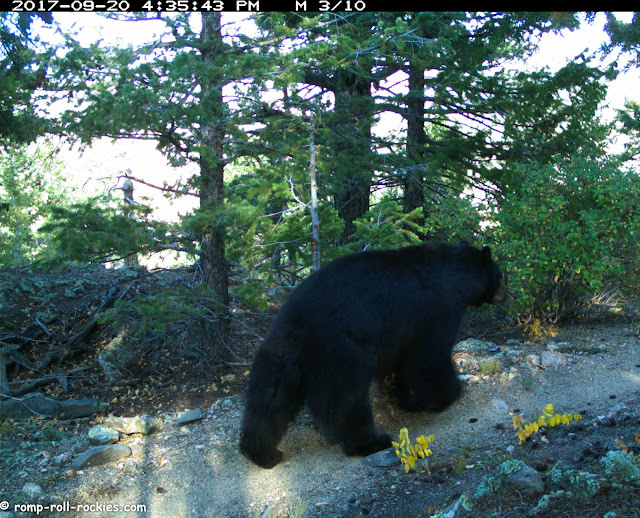 I believe that this bear is Tiny, who has grown his winter coat and is no longer limping at all. He looks to me as if he'll be back next mating season, assuming that he doesn't get in trouble with humans this fall. In the past, Tiny has still been out and walking around in early December. 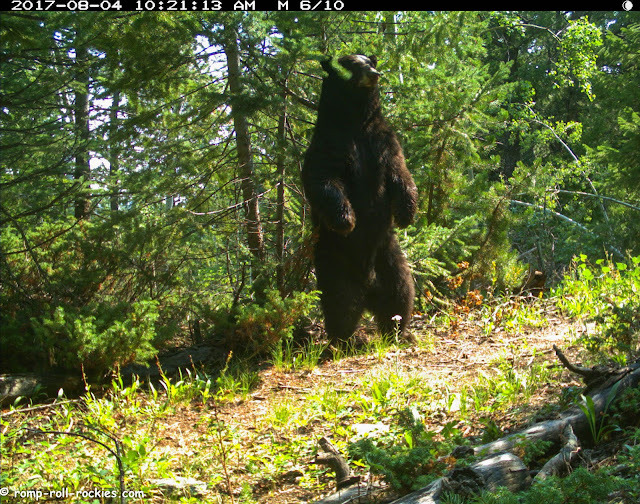 He goes to his den late, which means that he will be continuing to try to find food even when most natural foods are finished. I have a video from trail cameras that are pointed at bear marking trees so that you can see the activity that we've had in December. It ranges from Tiny doing emphatic marking dances to a bear who couldn't be bothered to stand up while he sniffed a tree. That sleepy bear was probably heading toward a den. They all look healthy, and ready for a long winters sleep. I loved seeing the one from alongside the tree instead of head on. He really gave that tree a push! 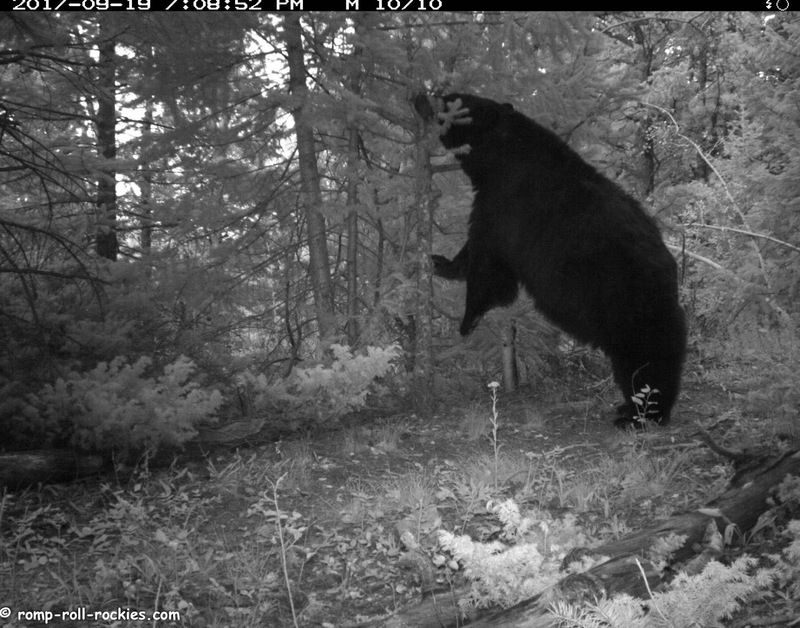 I often wonder how they manage to get enough food to last the long winter of hibernation. Those thick coats look like they are in wonderful health. They are so amazing to watch...from this safe distance! We think winter is fast approaching, good to see they're fat and ready. We've said it before and we'll say it again. We LOVE the bear videos. We would not want to run into those bears but we do enjoy your video of them! That is so exciting that you can watch those bear in their natural habitat. I hope Tiny makes it through the winter. I love bears, not as much as wolves (do you ever seem them? )but I do love them. I wish I could see one in the wild, from a safe distance of course. Thank you for sharing your pictures with us! That is so interesting! I wonder if there is another reason they don't do all the marking, other than that they're just winding down as they get ready to hibernate? 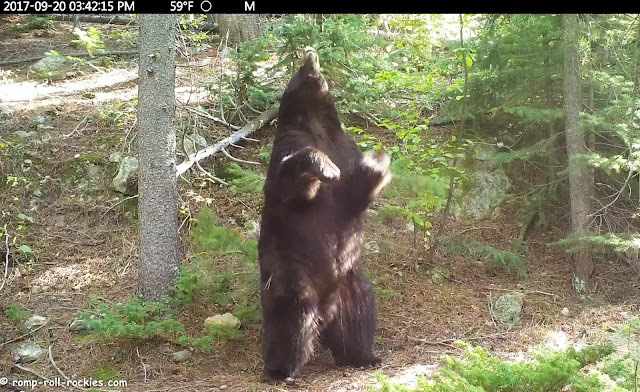 Bears are so interesting, we could watch them all day! That "emphatic" marking bear looks like Michael Jackson doing his Thriller dance. Always a treat watching your video. Thanks for sharing.